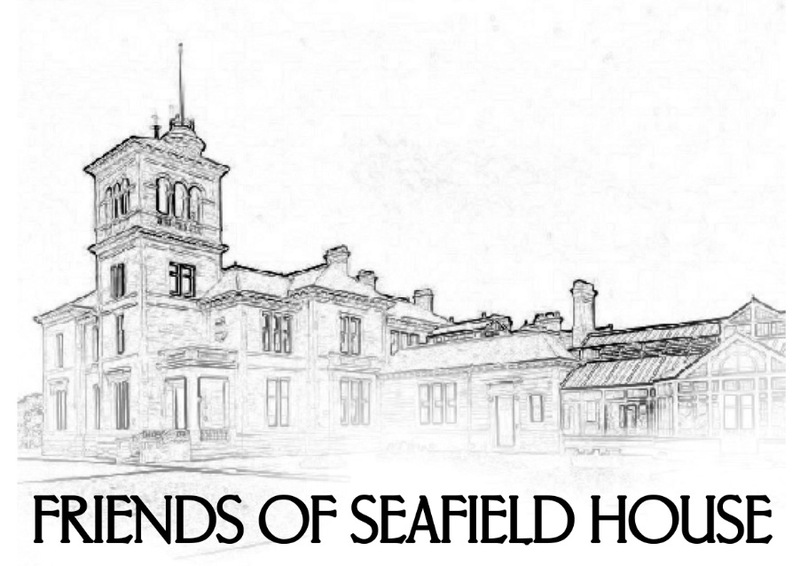 Friends of Seafield House (FoSH) was established on 15 October 2012 to support the campaign by SAVE Britain’s Heritage among others to save Seafield House in Ayr, securing a new use for this iconic building & developing proposals for its restoration. On Monday 15 October 2012, over 15 of Scotland & Britain’s leading conservation architects & engineers, architectural historians, academics, authors, entrepreneurs & local residents met in Ayr to launch their campaign to SAVE Seafield House in Ayr – the former home of Sir William Arrol – by establishing the Friends of Seafield House. Sir William Arrol (1839-1913), the Scottish civil engineer, bridge builder, and Liberal Member of Parliament (MP) for South Ayrshire constructed the iconic Forth Rail Bridge & London Tower Bridge & a host of other important bridges & buildings across the world. Seafield House is a poignantly beautiful roofless ruin that stands empty & neglected & slowly decaying after a savage fire gutted the interior. It is owned by NHS Ayrshire & Arran, which has proved to be a poor steward of the building. Last year, faced by strong local & national opposition, the NHS Trust withdrew its application to demolish the category B listed building. Marcus Binney, President of SAVE Britain’s Heritage, and Patrick Lorimer, Director of ARPL Architects are spearheading the campaign. The new Friends of Seafield House unanimously endorsed their initial proposals to rescue the building, beginning with a swift programme of urgent works to stop further deterioration during the forthcoming winter. Thanks to Andy Wightman (@andywightman) for his tweet and support. A commendable campaign, but I cannot feel that a plaque at the site, and all monies probably raised for the conservation project might be more worthwhile spent upon bursaries/funding for engineering apprenticeships, to allow another generation to find a path to success as did the great Sir William, who worked so hard to escape his humble origins, educate himself and build up his business through time; if they have the drive as did he. I realise that University students are already benefiting from his generosity, but some youngsters not wanting to take the academic route might also benefit in his memory if so arranged. In our aim to save Seafield House we hope not only to prevent a magnificent building from being destroyed but also to retain a part of the legacy that Sir William Arrol left behind. Whilst I agree that funding for engineering apprenticeships is important, I think that there is also a place for spending money to save historic buildings for future generations to appreciate. Sir William Arrol had a large hand in the design of Seafield House and it stands as a testament to to his engineering prowess that the house has withstood fire and years of neglect. It also serves as an illustration of the life he came to achieve through his own hard work and of a story that is an inspiration to all who might dream of following that path to success. We totally agree with your sentiments Susan. The house is very special to a lot of people with it’s history of Arrol and as a Hospital. You are tied to the building both with your amazing family history in the Arrol works and with your children having been treated at the hospital and so your connection to the building is doubly strong. We are currently waiting for Econstruct Design and Build, the owner of Seafield House, to submit their application for the restoration and conversion of the house into flats. If that goes ahead then the house will be saved. Friends of Seafield House have been campaigning to secure the future of the building since 2012 when the council refused permission for demolition. Now 6 years down the line we are hoping that the house will finally be restored and converted in such a way as to honour its special history. You might be interested in our sister website https://sirwilliamarrol.wordpress.com which has a history of Sir William Arrol and the Company. Although the site mainly covers the period up to 1913 when Sir William Arrol died, we would be interested in any stories you have concerned with your father’s time working for the company. My father started work at William Arrol’s works in 1923,aged 14,he worked 5 1/2 days a week.In the evenings he went to what was,Glasgow Technical College to learn more about civil engieering.In 1839 he went to England as there was little work in Scotland.He became an aircraft inspector for the MOD.His name was William McMillan Gunning. Hi Susan. Thanks for sharing the story of your father. In some ways he shared a similar start to his career as Sir William Arrol ie. starting work at a young age ( in Arrol’s case, just 9 years old) and after a long days work spending the evenings studying to further his career. I expect that he had a good apprenticeship with Arrol’s and I wonder what constructions he worked on during his time with them. I recomend reading the book The Briggers,about the building of the Forth Rail Bridge,the people that worked on the bridge and around it,how Arrol invented machinery as it was needed. I agree, I have read it and it is a fascinating book. It shows that although there was a high number of fatalities during construction, some of the machinery and measures introduced by Arrol were to improve safety and helped prevent many injuries and deaths.